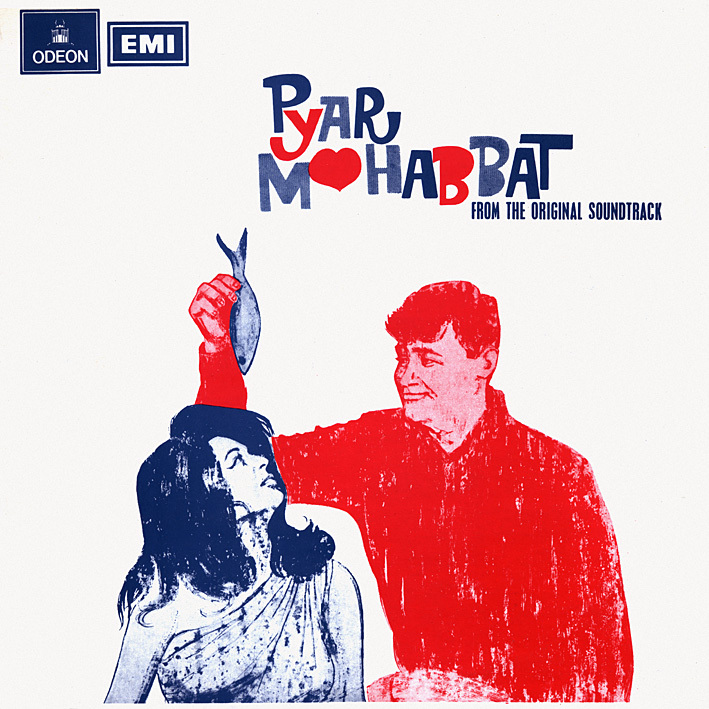 'Pyar Mohabbat' is another soundtrack I've previously posted a truncated (and trashed) EP version of; I wanted a better sounding LP primarily due to being charmed by its two Sharda songs. 'Hello Hello Sun Sun Sun' and 'Tere Siva' are probably still my favourite tracks on here, with Asha Bhosle's 'Tujh Ko Dekh Ke' coming very close. On the whole though, this is a pleasantly upbeat album which I've found myself listening to quite a lot recently. I must say I find the cover rather strange; maybe the image of Dev Anand feeding Saira Banu a fish makes more sense if you've seen the movie. Maybe he's feeding her a treat. Saira and Dev get lost at sea and float around for awhile on a raft, and a raft without a sail at that after Saira uses it to make a new outfit. Love this soundtrack, very catchy :) Thanks!